Welcome to the High Score eSports Weekly Round-Up! Each week, High Score updates you on the week that was in eSports. Catch up on the coolest matches, the biggest battles, and the latest news right here, all in easy to digest word bites! Read on friends and stay in the know! 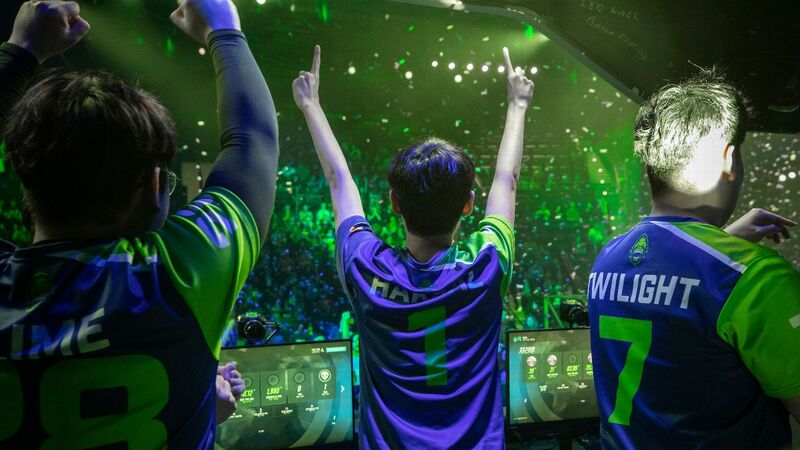 The first stage of Overwatch League 2019 is complete, and it finished off with a battle that will go down in Esports history. The weekend started with two undefeated teams, the Vancouver Titans and New York Excelsior, seemingly destined for an epic battle for first, but life has a way of messing with destiny. On Thursday, 6th place Soul Dynasty shocked everyone when their team was introduced, and the majority of their starting line-up wasn’t there. Throughout the week, Dynasty’s backup players had performed well against other teams in scrimmages, and the choice was made to promote many of them to the main stage. Still, the unbeaten Excelsior were the favorites. After all, Soul’s B-Team had just lost 3-0 to the San Francisco Shock earlier in the week, how much of a challenge could they present to a team that had taken out every challenger they faced? If you’ve watched just about any movie about sports, you can guess what happened; the Soul Dynasty woke everyone up with a 3-1 victory over New York. The team’s strategy of switching out players kept New York off kilter. This was a huge victory for Soul after failing to even make it into the playoffs last year. And for Overwatch fans, this first match of the Stage 1 playoffs made for an exciting opening. It was clear that anything could happen over the next few days. The Vancouver Titans continued their streak by taking out 8th place Boston Uprising on Thursday in a 3-0 match. On Friday, 5th place Atlanta Reign lost out to 3rd place Philidelphia Fusion 3-1, while 6th place San Francisco Shock surprised everyone with a 3-0 victory over 3rd place Toronto Defiant. Saturday showed that Soul Dynasty was more Rocky than Rocky II when they lost to the Vancouver Titans 4-0. Still, Dynasty was able to hold their heads high, knowing that they showed everyone that they had the makings of a great team. Meanwhile, the Shock took down Fusion 4-0. The stage was set for the final match of the playoffs – the undefeated Titans vs the 6th place Shock. The Shock came out strong on the first map (Nepal), with their tank Matthew “Super” DeLisi leading the team to a win. The Titans answered back on the second map (Numbani) where their own tank, Park “Bumper” Sang-beom showed off his skills. On the third map (Temple of Anubis), the Titans did their best to keep the Shock from taking Point A, but Choi “ChoiHyoBin” Hyo-Bin pulled off an amazing D.Va Self-Destruct to take out three members of the Titans, giving his team the opening not only to take Point A, but Point B as well. The Titans responded quickly in round two and were about to take Point B when Shock’s Park “Viol2t” Min-ki stopped their momentum flat with two quick kills, giving Shock a 2-1 lead over the Titans. The Titans chose Dorado as the next map, and for them, it was a perfect call. Despite another great Destruct from ChoiHyoBin, the Titans quickly tied the game up 2-2. Moving to Ilios for the fifth round, the battle was intense, with Shock taking the Lighthouse round while Bumper saved the day for the Titans with an Earthshatter that kept the Shock from taking the Ruins round. The third round brought the two teams to the Well stage where Titans player SeoMinSoo made short work of the Shock’s healers with McCree. Still, it wasn’t enough to stop the Shock from taking the round and gaining a 3-2 advantage. Suddenly, the 6th place Shock were just one win away from upsetting the Titans and becoming the Stage 1 champions. Still, the Titans hadn’t gone undefeated this entire time to just roll over now. They brought the fight to King’s Row and SeoMinSoo’s Zarya was just too much for the Shock to handle. The Titans tied things up 3-3. To say the least, things were getting really tense! The Shock chose Rialto as the map that would decide which team would be crowned champion. Shock members Super and Jay “Sinatraa” Won worked together to punish the Titans, and for a little bit, it looked like the Shock were going to become the underdog champions. Titan teammates SeoMinSoo and Lee “Twilight” Joo-seok weren’t into that storyline, pushing the Shock back and forcing the match to go into overtime. In the end, the Shock weren’t able to take Point A on Rialto, and the Titans continued their undefeated streak, taking home the $200,000 Stage 1 prize. Overwatch wasn’t the only game bringing esports fans the goods this week. DreamLeague Season 11 ended with a series of shockers. Team Liquid, considered to be one of the best pro-Dota 2 teams around, was taken out by relative newcomers Chaos Esports Club. Vici Gaming, who had been struggling leading into DreamLeague, took out early favorites Team Secret. That wasn’t the last Dota 2 fans would see of Vici Gaming. The team moved their way up the ranks, pulling out a 2-1 win over Fnatic and moving on to face Virtus.pro in the championship match. The two teams battled it out in a best of 5 that went down to the wire. Vici were able to take the first round, thanks to Zhang “Paparazi” Chengjun using his Morphling to rack up an unbelievable 12 kills and 12 assists, all without dying himself. Virtus.pro responded in round 2 with Roman “RAMZES666” Kushnarev leading the way with 819 last hits. It was a failed high ground push by Vici that cost them 3 players that gave Virtus the chance to tie things up 1-1. For round 3, Vici teammate Zeng “Ori” Jiaoyang brought out Bloodseeker and used the beast to get an impressive 10 kills in 22 minutes. Vici took the round easily and gained a 2-1 advantage, but Virtus wasn’t done yet. Round 4 saw Virtus’ Kushnarev use Storm Spirit, leading his team to a win and tying things up 2-2. I guess Vici really wanted to go home because they came into the 5th and final round with a vengeance, bringing out a safe lane Razor and a mid-Medusa to keep the pressure on Virtus high. Finishing the round in under 22 minutes (the shortest round of the series) Vici took the trophy. Gamers for Giving Raises $500,000! This weekend, High Score was honored to be a part of Gamers for Giving. 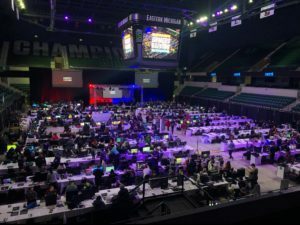 Along with some great Halo, Super Smash Brothers Ultimate, CS:GO, and Overwatch tournaments, the weekend was filled with loads of fun! The Bob Ross painting challenge showed us that either a whole lot of streamers are amazing painters, or that Bob Ross’ way of teaching really works! The cereal challenge finally answered the age old question – what is the best cereal. Most importantly, Gamers for Giving raised over $500,000 for Gamers Outreach! That means a lot of kids who are stuck in hospitals are going to be given the ability to play games. Every year, Gamers Outreach brings the joy of gaming – something so many of us take for granted – to children around the country. These games bring hours of entertainment to kids who are unable to leave their hospital rooms. While the weekend is over, you can still donate to Gamers Outreach here. 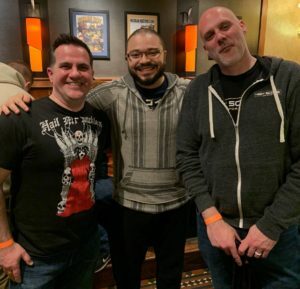 While working alongside Gamer Advantage at Gamers for Giving, we were able to meet some seriously awesome people, like Alex “Goldenboy” Mendez. A well-known name in the Esports circles, Alex is also a commentator on NBC’s Titan Games. That means he works with Dwayne “The Rock” Johnson! It is very possible that Alex has indeed smelled what the Rock is cooking! 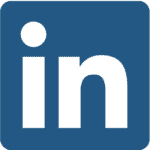 Keep up with all things High Score by following us! Get To Know High Score – Derek Faraci!